Stunning custom made Steven Khalil wedding gown. 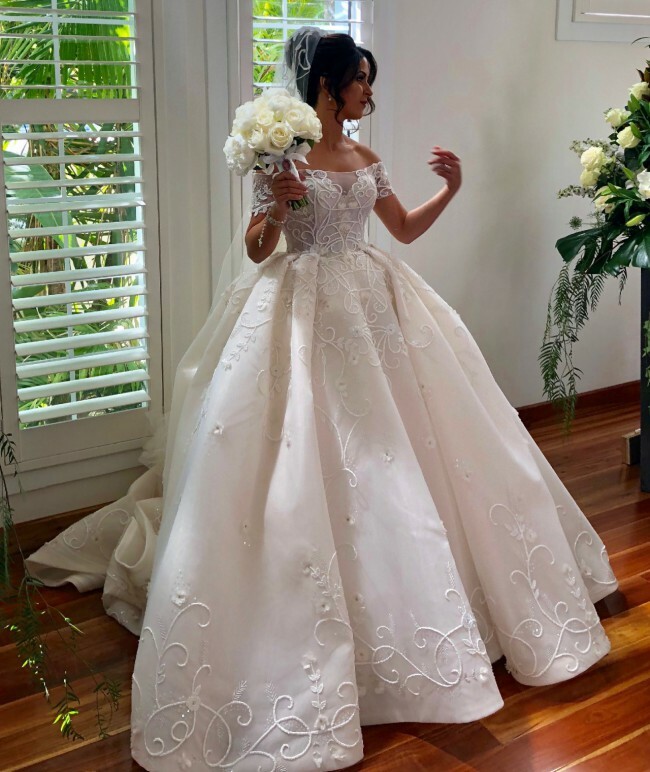 The detail in this gown is one of a kind, Steven has used a custom designed intricate beading for the bodice which has never been used before. Every bit of detail seen on this dress has been hand stitched individually. Hidden Detail: A corset bodice, cupping in the bust to create the perfect shape, invisible double zipper and waist strap belt to make your waist teeny-tiny. The train is 3m long - not detachable, but can be hooked up when dancing with a bustle to the back of the dress- looks completely seamless when bustled. Dry cleaned and packaged. In pristine condition.